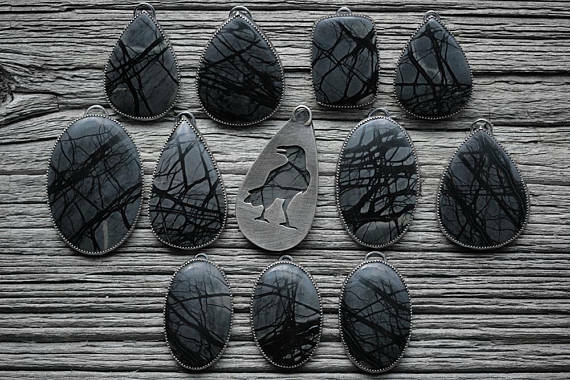 Oh, friends, there was no way I could not bring “The Waiting Raven” collection back in time for Halloween! 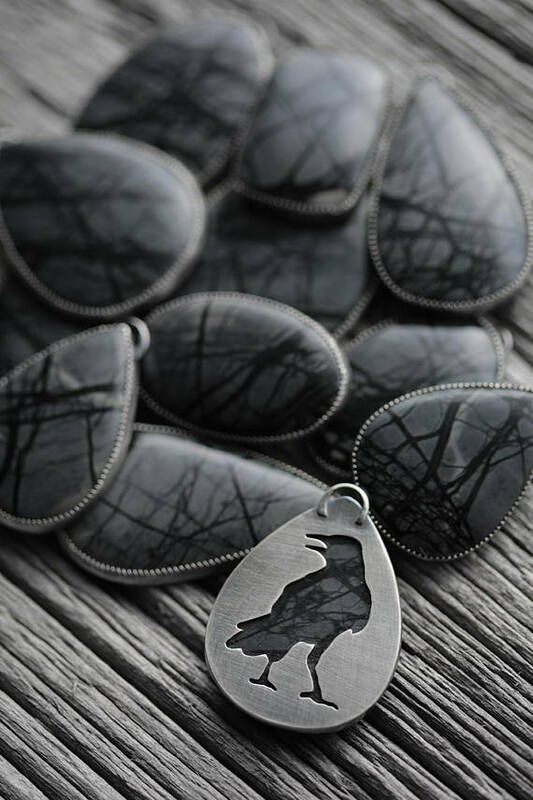 Did you know that the very first Waiting Raven necklace I made was for last year’s “Nocturne” collection? If October were personified in a piece of jewelry, I think perhaps this would be it. 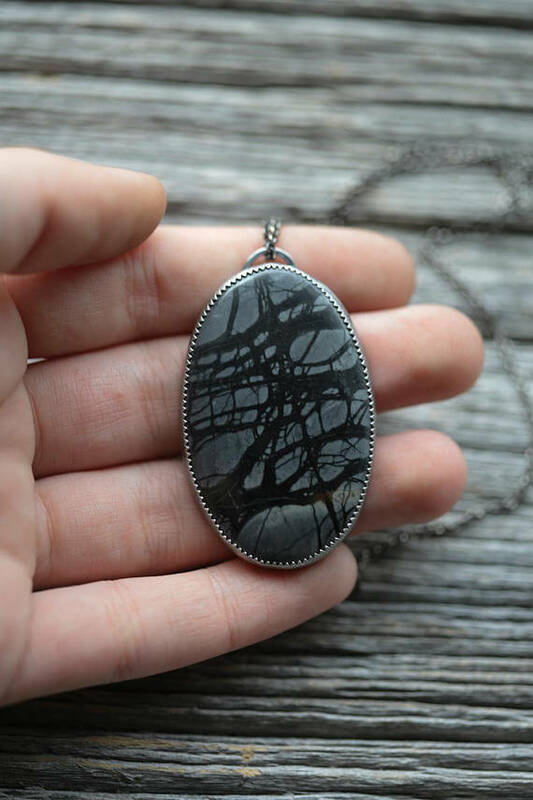 The matrix of picasso jasper so strongly resembles the branches of a bare tree against a moonlit sky. 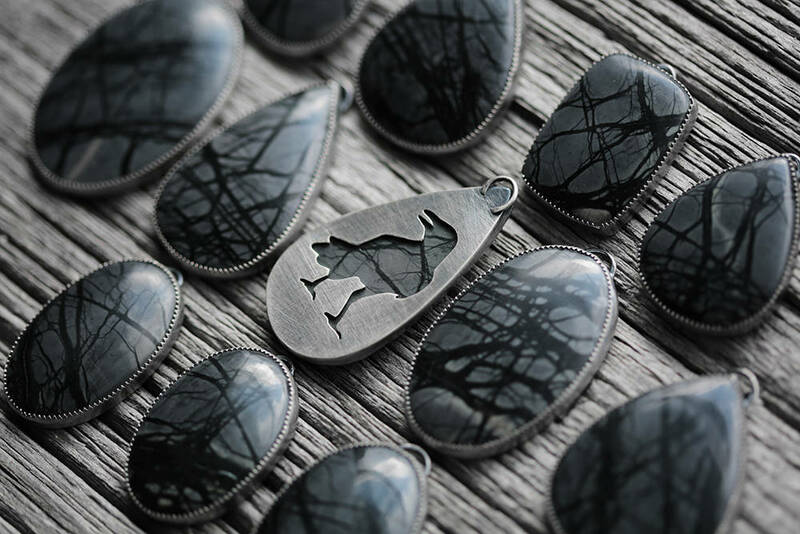 Each stone features an entirely unique cluster of branches, just as no tree is the same. 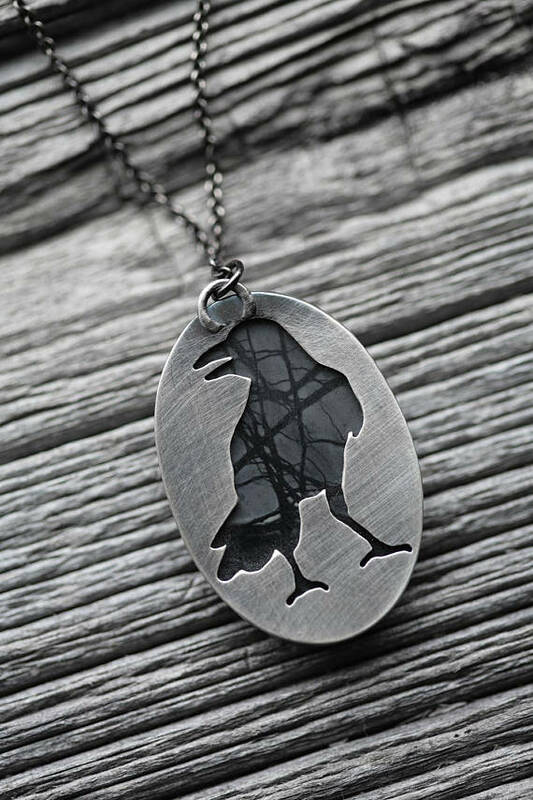 And of course, the raven window on the back of the pendant. A single raven waiting in the branches of an autumn tree. Seven for the devil, his own self. 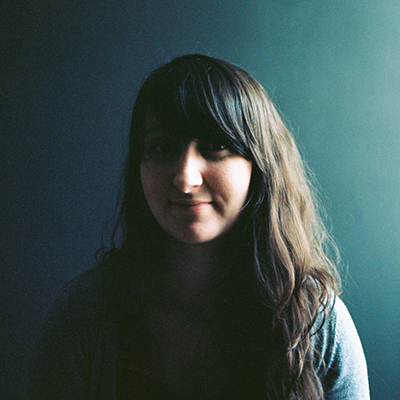 To me, the poem sounds like something a child 150 years ago might have sung to keep herself company while crossing through the dreaded potter’s field in order to make it home before darkness fell. And when I first saw these stones, that is the poem to which my mind jumped. For the past year, making these pieces has been a balm. 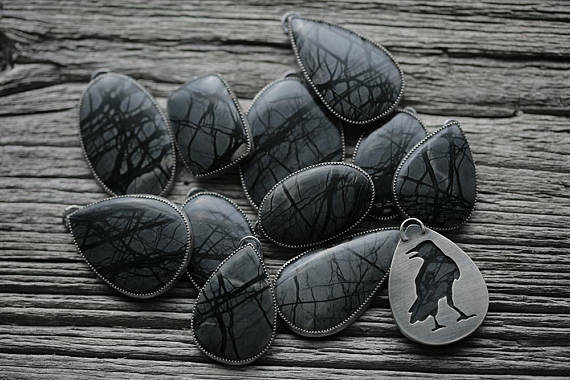 I roll each stone in my hand and can see the raven waiting to be drawn out. I watch as my hands push through metal in the now familiar shape of the raven. And in the end, I line them up so I can see the flock of corvidae I have called about me. These pieces will be available in the shop Sunday, October 22 at 6:00 p.m. EST.